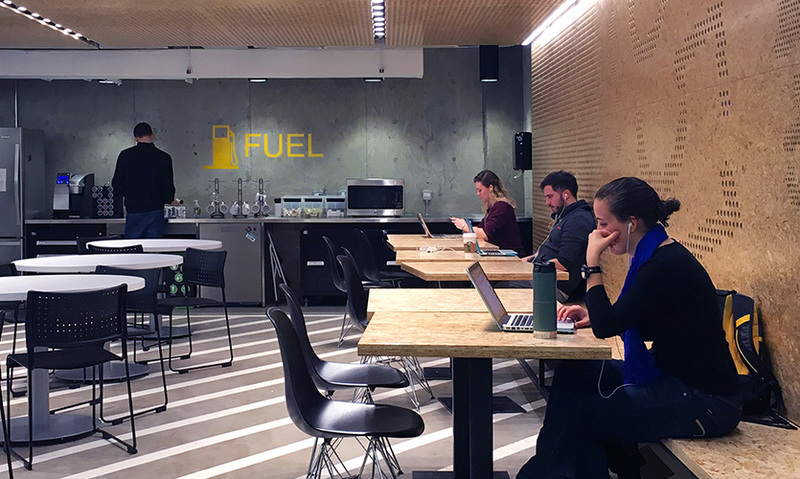 Northwestern University asked our team how to systematically upgrade and unify approximately two million square feet of diverse interior common spaces. The team spent four months gathering information from campus tours, floorplans, IT and Wi-Fi data and user interviews. Data collected from assessments and purposefully designed guiding principles formed the basis for the design strategy and standards document. The assessment was used to develop a model to prioritize projects based on this gap analysis between the current and desired states of spaces on campus. A cost benefit analysis highlighted spaces with the highest potential value and lowest possible cost, delineating a clear path forward for the client. This strategic process covered 2 million square feet of space, 110 buildings and both an urban downtown campus and the historic Evanston campus. A recently refreshed Northwestern University brand also played a key part in shaping the common spaces narrative. To address this multi-faceted strategic project, Gensler assembled a team of architects, interior designers, brand designers, strategists, analysts and data managers. Northwestern formed a committee specifically focused on the project and its objectives and vision made up of representatives from around the University. 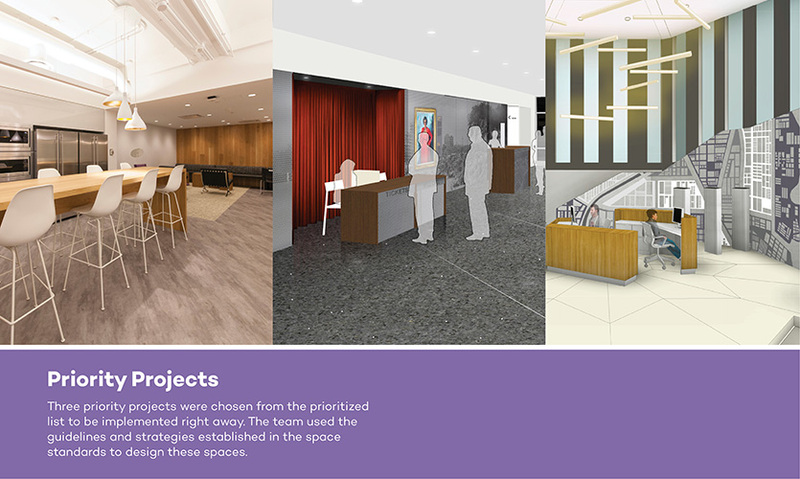 One of their most critical goals for the project was to identify strategic opportunities for space to showcase and integrate the Northwestern University story. The team spent four months gathering information from campus tours, floorplans, IT and Wi-Fi data and user interviews. 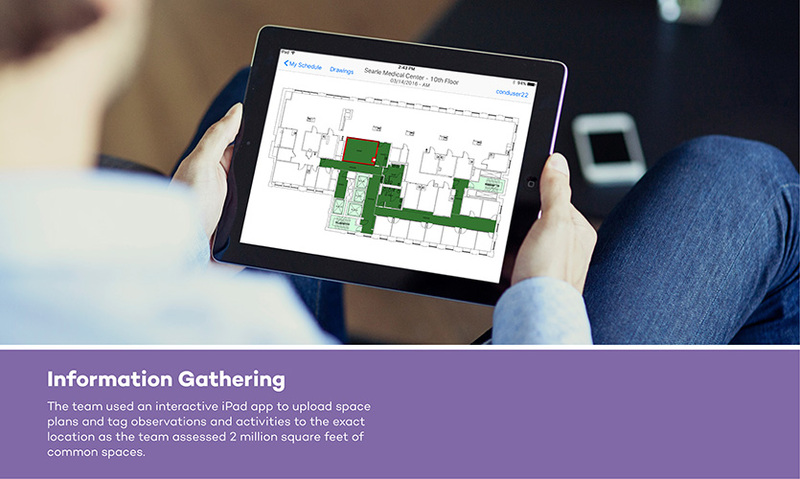 To record and organize this massive amount of information, team members walked the space using the Gensler designed iPad app Observe to record notes and tag activities in the space. Every space was carefully assessed and graded based on conditions, experience, brand elements and potential to establish a complete understanding of the current state. 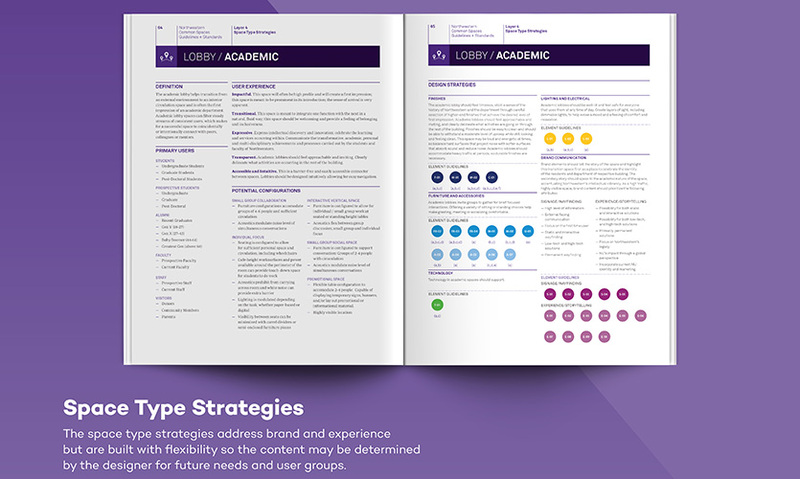 The data collected from these assessments coupled with purposefully designed guiding principles formed the basis for the design strategy and standards document. 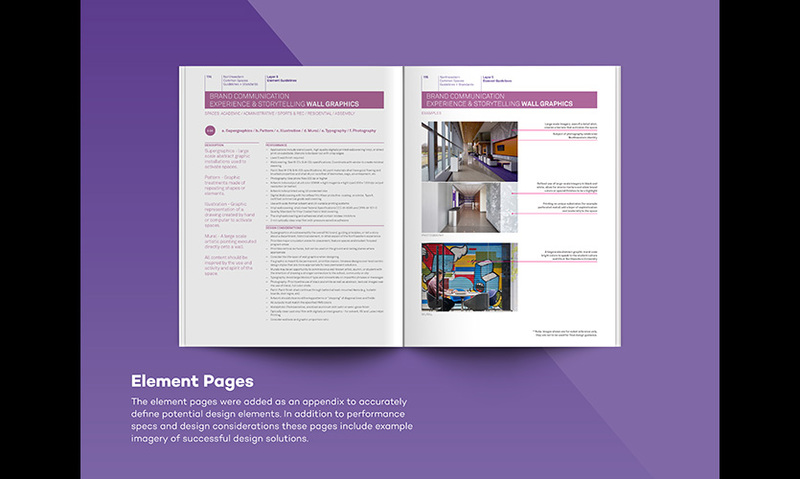 This document covers all physical elements found in common spaces, including finishes, furniture, lighting and fixtures, as well as brand experience and wayfinding. The assessment was also used to develop a model to prioritize projects based on this gap analysis between the current and desired states of spaces on campus. 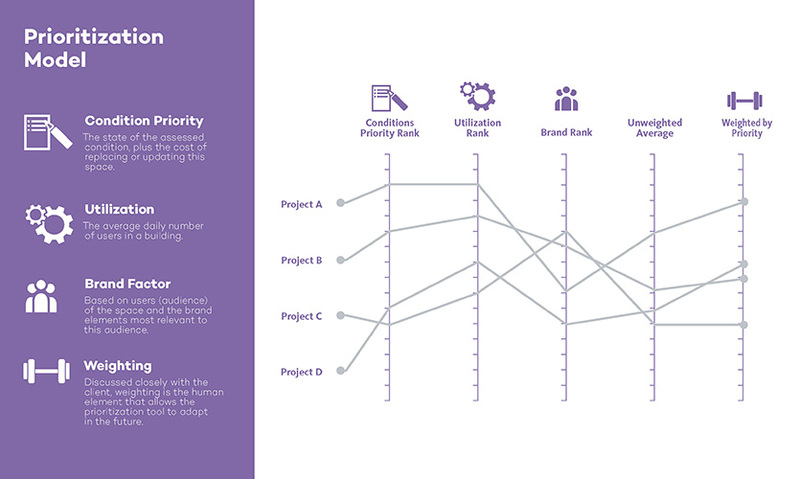 The prioritization framework used both qualitative and quantitative criteria of condition priority, utilization and brand impact to develop a rank order of projects. A cost benefit analysis highlighted spaces with the highest potential value and lowest possible cost, delineating a clear path forward for the client. Through the implementation of subsequent renovation projects that follow the standards document, including a staff breakroom, theater lobby and university library, Gensler has been able to realize the intent of the program and validate the need for a cohesive global brand throughout the campus. 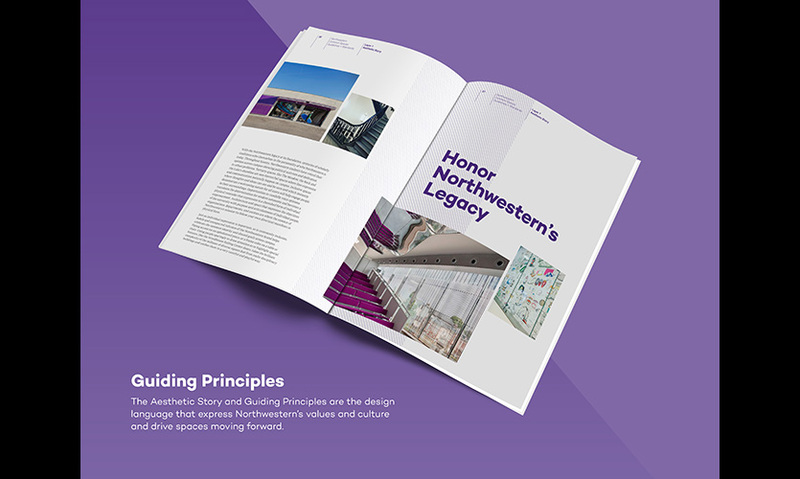 This holistic solution to fundamental challenges that many institutions face today has positioned Northwestern as a leader and one of the first institutions to optimize space utilization, implement a data-driven decision-making process and infuse its campus spaces with the ethos of its brand. "The daunting result of assessing an entire university campus and identifying feasible upgrades is both beautifully and clearly presented. 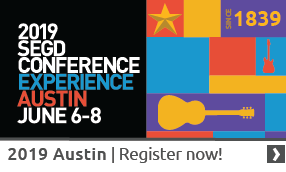 Complex research and good communication design come together in this document." 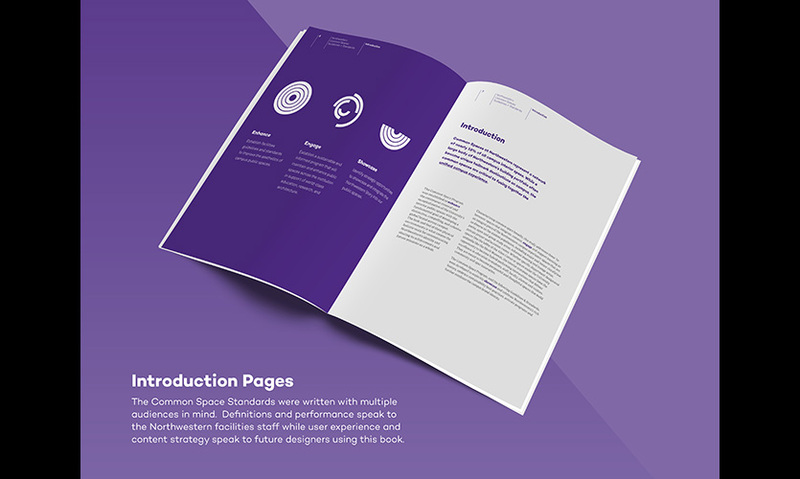 "Both well designed and comprehensive, the Northwestern University Design Standards should become the new universal template for design standards."